I went into Logan with very high expectations. I’ve enjoyed every X-Men movie to date, Wolverine is one of my favourite characters from the franchise, and the buzz around this film has been very good. So perhaps my sky-high expectations are causing me to judge Logan with an unfairly critical eye, but for the first time, I’m leaving an X-Men movie feeling more disappointment than anything. Logan depicts a grim future where mutants are dying off. An aging, sickly Logan is working as a limo driver while caring for the decrepit Professor Xavier. Well, “caring for” is probably the wrong term. Xavier is more of a prisoner. His mind is failing, and he needs to be kept under lock and key for the safety of all, lest his telepathic powers run out of control with deadly consequences. Into this wretched purgatory of a life comes Laura, a mutant child with powers eerily reminiscent of Logan’s own. Laura is the product of horrific corporate experiments to create mutant super-soldiers, and the nurse who raised her is desperate to see her to safety. She believes Logan is the only one who can save young Laura. Unsurprisingly, Logan isn’t eager to take responsibility for the girl, but in the end he doesn’t have much choice, and he, Laura, and Xavier find themselves in a desperate flight from the ruthless forces pursuing her. I knew going in this was going to be a very dark movie. That much was clear from the trailers. If you’ve ever read any of my fiction, you know I’m down with grim stories. But in the case of Logan, it just doesn’t quite work. You see, there is a difference between trying to be something and actually being something. You’ve probably heard it said that the harder you try to be cool, the less cool you actually are, and the same is true of most of anything. Logan is trying very, very hard to be a powerful movie, but that’s exactly why it isn’t. It’s such an unrelentingly bleak and brutal story that it just ends up feeling bland and tasteless. You need some light to contrast the darkness, or else you’re just fumbling blind. It works so hard to be tragic that it misses opportunities to be genuinely impactful. Xavier has degenerated so much that I no longer see anything of Professor X in him. If there had been more flashes of his old self, if I could have seen something of the character I know in him, his issues would have been heart-wrenching, but instead he’s just this incoherent, foul-mouthed old man who isn’t a shell of his old self so much as he’s a different character entirely. I very much like the idea of superhero movies being a little more serious, a little more about character and less about spectacle. Part of the reason I’m such a fan of the X-Men movies is that they’re already doing a pretty good job of that. But Logan has gone to the opposite extreme. It wants so desperately to prove its emotional weight and artistic prowess that loses sight of the forest for the trees and fails to actually tell an interesting story. That’s not to say that there aren’t positives to the movie. 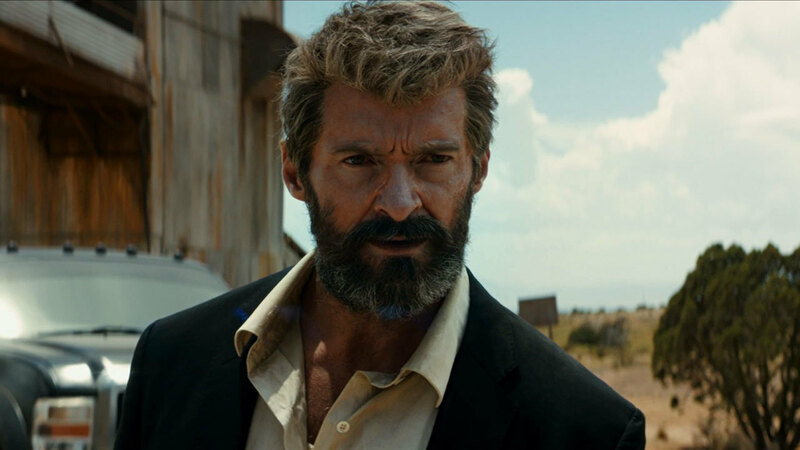 Indeed, there are a lot of individual parts of Logan that I enjoyed quite a lot, even if they don’t fit together very well as a whole. 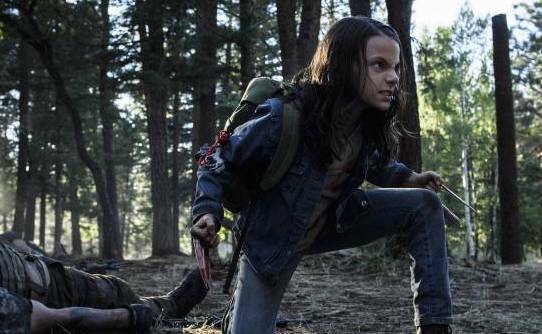 By far and away the best part of the film is Dafne Keen’s performance as Laura. Despite the fact that she doesn’t speak any coherent words for roughly the first three quarters of the movie, she manages to communicate an incredible amount of personality and emotion. You can see a clear resemblance between her and Wolverine, yet she’s also clearly her own person. And the sheer intensity of her performance is staggering. When danger comes, she morphs into this shrieking avatar of bestial fury, and yet her quieter moments are no less powerful. She’s as convincing as a vulnerable, innocent child as she is as a cold-blooded killer. The villains of the story also put on excellent performances. They’re skin-crawling, blood-boilingly, disgustingly and utterly vile, and I mean that in the best way possible. Villains should make you hate them with every fiber of your being, and these guys accomplished that with flying colours. 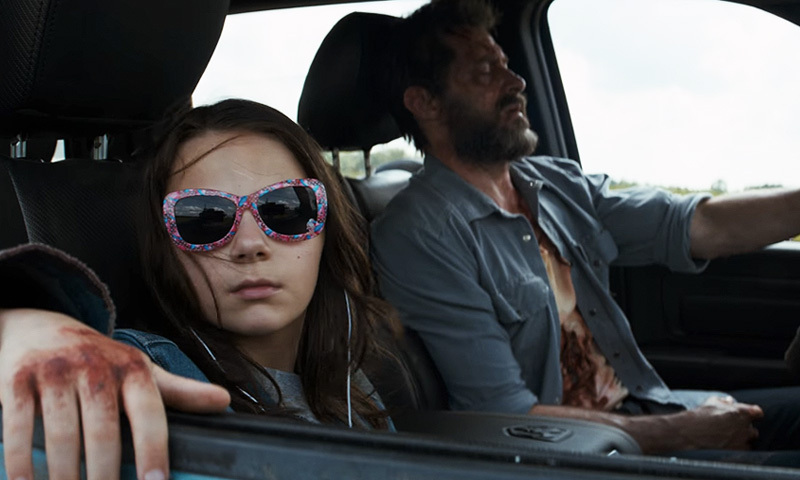 But still, Logan is a movie that ends up feeling like less than the sum of its parts. There’s one other thing that bothers me, but it’s a spoiler, so if you haven’t seen the movie yet and want to go in fresh, I’d advise leaving now. For the record, I’m giving this 6.9. You can leave now and not miss anything non-spoilery. Everyone ready for the spoiler? Good. I don’t like that Logan died. Now, I want to be clear that I’m not being sentimental here (see my Dark Knight Rises review for proof I’m willing to kill my darlings). This was always going to be Hugh Jackman’s last movie as Wolverine anyway, and Logan has got to be pushing his second century at this point. We all have to go sometime. I’m not upset by the death of the character. What bothers me is it sabotages the whole theme of the movie. 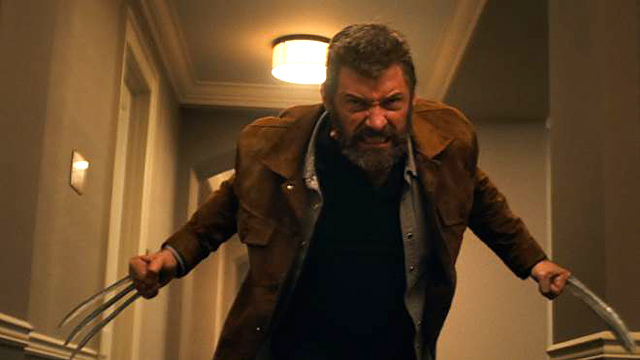 The core thread running through the movie is Logan’s struggle to cope with the pain and horror of his long and violent life. He’s outlived everyone he ever cared about, and he just doesn’t have the strength to go on anymore. What a powerful moment it would have been if Logan could overcome that in the end. How meaningful it would have been for him to find the strength to continue on, to escape with Laura and finally have the peace he long ago gave up hope of ever finding. But instead he’s just killed off. It’s not even his choice; it’s just something bad that happened. Again, they were so desperate to make this movie a tearjerker that they ignored their best chance to tell a truly powerful story and just went for the most blunt, contrived, obvious solution possible. It’s a death with no thematic meaning. It doesn’t make any point about the character. It doesn’t have any real emotional payoff. It’s lazy. Again, if Logan hadn’t been so hyped by both myself and the media as a whole, I might view it less harshly. It’s not that it’s a bad movie, but it could have been so much more than it is. Honestly I liked the previous Wolverine movie much, much better. This entry was posted in Reviews and tagged movies, review, sci-fi, x-men by Tyler F.M. Edwards. Bookmark the permalink.